Get closer to the subject and get more in the shot! With the Canon WDH-30.5 Wide Angle Lens magnification coverage at 0.7x, you'll get wider, more dramatic shots of those sweeping vistas. 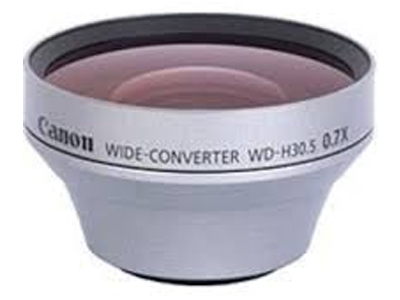 The wide-converter is useful indoors as well, since you'll be able to fit more of your subject into the picture frame.